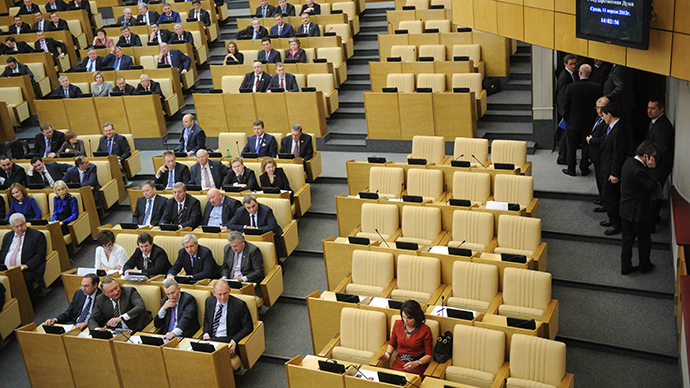 A bill amending Russia’s parliamentary election procedures has been submitted to the State Duma. The draft makes half of the parliament’s 450 seats subject to direct elections, rather than party votes. The current system requires political parties to submit lists of up to 600 candidates for election. Russians vote for the parties themselves, which then assign their top members to a number of State Duma seats proportional to the number of ballots won. 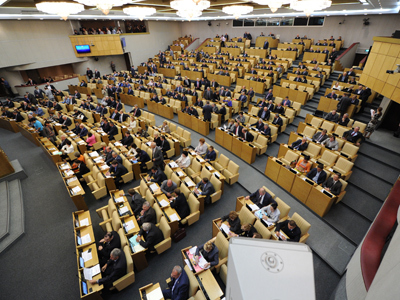 The new procedure – outlined in the bill submitted on Friday by President Vladimir Putin – puts only half of the Duma’s seats up to party voting. The other half will be filled by individual candidates elected directly by their constituencies. The constituencies would be revised once a decade, to keep them roughly equal in terms of the numbers of voters. Russia had a similar electoral system in the 1990s, but direct election of Duma deputies was scrapped in the early 2000s. 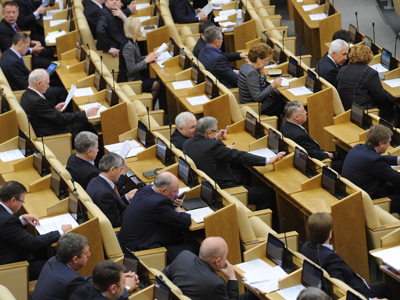 The bill will maintain the threshold a party must pass at an election to earn seats in the Duma at 5 percent. This measure was introduced in 2011. The parties will also face lower thresholds for representation in Russia’s regions, and the minimum number of candidates on their lists. However, they would not be allowed to form blocs to pass the vote threshold as part of a joint effort. The reform favors smaller parties, which mushroomed in Russia after a push for political liberalization following a wave of protests in 2012 – the number of registered parties in the country grew from seven to 51. Several smaller parties have commented on the bill, saying they favor the re-introduction of direct elections, but are disappointed that electoral blocs would not be allowed. Two major parties holding seats in the current parliament – the Liberal Democrats and the Communists – said they opposed the bill, calling it an outdated throwback. But since the United Russia Party holds a majority of Duma seats, the bill will likely be adopted into law; the 2016 Duma election would be the first polls conducted under the new system.